This book took me a while to absorb. 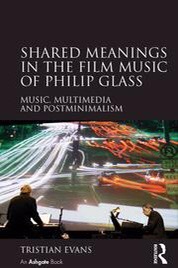 It is the first book length treatment that this writer has seen on the subject of Philip Glass’ film music. Some have suggested that his film music may wind up constituting his most enduring legacy and one need only listen casually to any number of film scores to hear his influence. This is basically an academic treatise which is what one can reasonably expect from the Routledge imprint. However the author seems to have taken care to transcend the adequate but sometimes dull prose which suffices for publication reasons but whose weight challenges the attention of all but the most stalwart of academic readers. This book is quite readable and deserves to be read. Admittedly it is risky to tread on the “meaning” of music but Evans here makes a case that places him in the company of Leonard B. Meyer’s book, Emotion and Meaning in Music. Though it is clearly not an attempt to extend Meyer’s work, Evans is in good company as he seeks to examine the emotional content of Glass’ work that underlies his success as a film composer. Film music, after all, tends to underscore the emotional content of cinematic images to some degree and those mechanisms can and should be examined. The alternative would be to simply dismiss it as “magic” I suppose. The cover which depicts one of those wonderful live performances of Koyaanisqatsi triggers memories of this writer’s first viewing of this intimate and effective scoring of Godfrey Reggio’s non-narrative, no dialogue sequence of images. Never had I seen/heard a more mesmerizing collaboration since the (stylistically very different) Carl Stallings cartoon scores which exist forever in the near subconscious recall of anyone who was exposed to his work in their childhood. For many film music means the classic Erich Korngold, Alex North, Alfred Newman, etc. and their more recent successors like Elmer Bernstein, John Williams, etc. But film music continues to evolve and, though this evolution will not likely supplant these classic styles, there is room for innovation and change. Glass’ work in Koyaanisqatsi relied on the hypnotic minimalist patterns which amplified the character of the images. Who knew then that his style could translate to more mainstream films? But that is exactly what he has done and it is exactly why such a book needed to be written and Evans has accomplished a great deal here. This is an intriguing and insightful book which opens potential for research in Glass’ music as well as film music in general. While not the easiest of reads this book covers a lot of territory and is generously referenced. Clearly there is much work to be done here and Evans has given a wonderful and pretty comprehensive start. Highly recommended. The efforts to establish a new and functional role for opera in the late twentieth and early twenty first century have produced a wide variety of styles. One can certainly see the 1976 Philip Glass opera Einstein on the Beach as a landmark in these efforts in the conventional opera house but the development of chamber opera pioneered composers like recent National Medal of Arts winner Meredith Monk and Eric Salzman (both of whom created innovative works in this genre before Einstein) deserve attention as well. This recording appears to fit into that tradition of chamber opera. 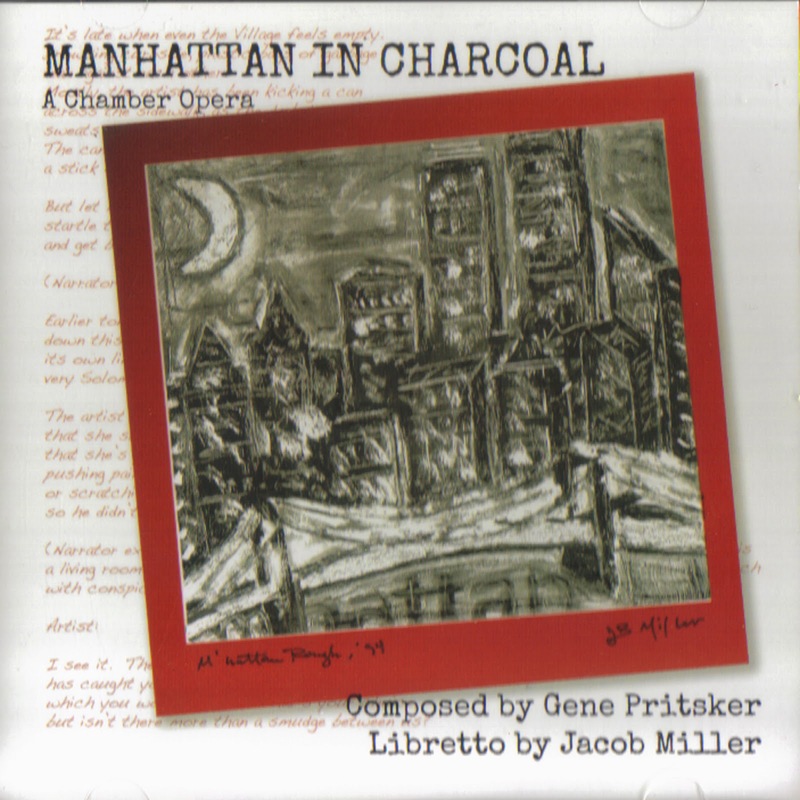 Manhattan in Charcoal (2014) by Gene Pritsker with libretto by poet Jacob Miller requires six singers and a narrator along with a chamber ensemble of about a dozen musicians. I don’t know much about how this piece has been staged but it works well as theater for the ears. Here is a man born in Russia, moved to Brooklyn at age 8 and attended the Manhattan School of Music graduating in 1994. While there he teamed up with conductor Kristjan Järvi to create the Absolute Ensemble. He counts approximately 500 compositions ranging from solo pieces to orchestral and vocal works. My journey of learning left my head spinning but it was not an unpleasant spin. Pritsker’s work incorporates jazz, rap, beat boxing and eclectic instrumentation as well. He has been active in the Manhattan downtown scene and may very well be the next generation of musical magicians to successfully grace that hotbed of musical eclecticism. His style is mostly tonal and any experiments appear to have been done prior to the composition of the present work. I must say that his eclecticism and embrace of a wide variety of musical devices puts me in the mind of some of Stravinsky’s work at times. But Pritsker is not derivative, rather he wields a large pallete. What we have here is a form of cabaret, well suited to small venues and friendly to audiences. It is well within the style and practice of such music and this piece is a good example of the updating of those traditions with contemporary instruments, music and modern performance practice. The story is not unlike that of La Bohéme and, though hardly Puccini from a musical perspective, is as much a reworking of that old gem as West Side Story was a reworking of Romeo and Juliet. Here, however, we don’t see the romantic guise of Puccini but rather the unnecessary tragedy of a Romeo and Juliet beset not by family rivalries but by economic and social realities and perhaps by the inability to see them for what they really are. This is apparently the first opera (of six) by Pritsker for which he did not write the libretto. I’m not sure what impact that has had on his overall effort but his ability to set the English language to music is admirable. All in all a thoroughly satisfying little drama which leaves the audience questioning these issues much as the protagonist has done. Let me first acknowledge that I am running behind on my reviews but one of the reasons I have been slow about this one is that I have had great difficulty trying to characterize this music in a meaningful way for readers of this blog. And by that I don’t mean to imply that this music makes for a difficult listening experience, it doesn’t. 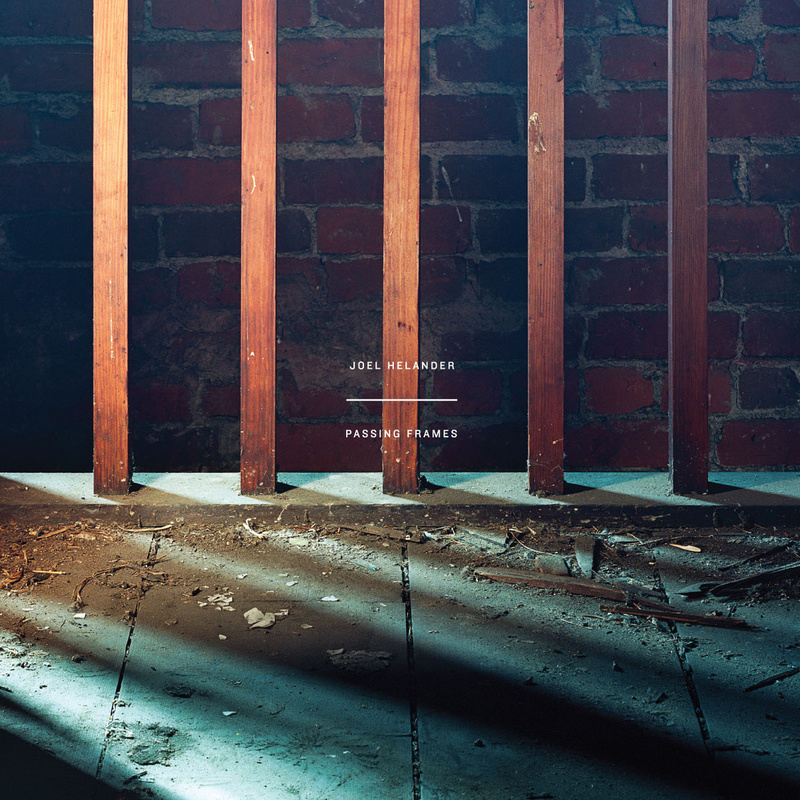 Passing Frames is the second CD by composer/pianist Joel Helander whose previous release, Flood (2012) is a solo piano effort. These two CDs published on Bandcamp earned Mr. Helander mention in Forbes magazine in an article about the self-marketing that is available to musicians who are trying to establish themselves in the music business. Helander is a student in theory and composition at Clark University where this very project is featured on their website. I conducted a sort of interview with Mr. Helander via e-mail exchanges and learned that he has been playing piano for about 10 years including classical training and a more recent interest in jazz performance. He said that this project began as a sort of follow-up or perhaps a natural progression to his previous release. His earlier album has much in common with this one in terms of atmosphere. Passing Frames is a set of ensemble pieces with the assistance of friends and classmates all drawn from the Worcester area. 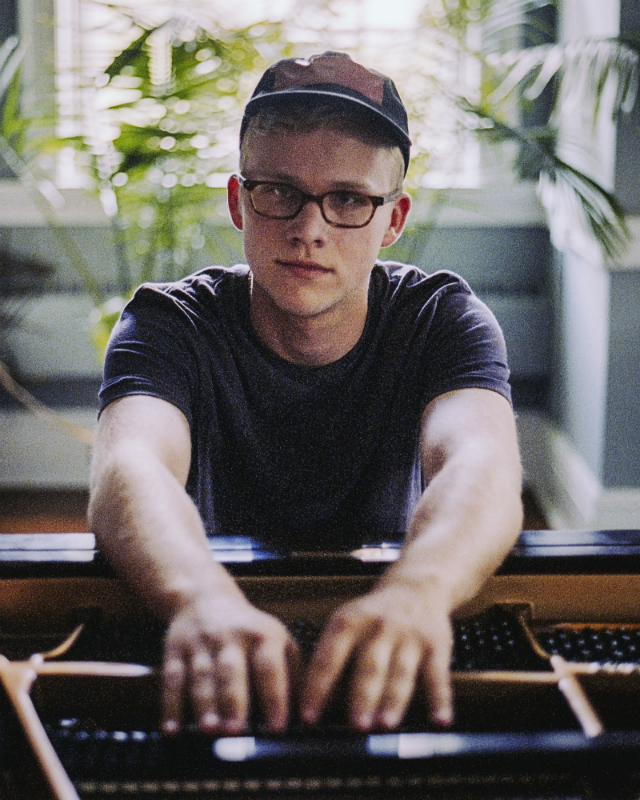 His brother Karl Helander, a singer and song writer in his own right, who studied studio drumming at the University of Miami plays drums and percussion. String and wind players were enlisted from the Worcester Chamber Music Society, fellow Clark students and other friends. He cites Mike Tierney (guitar, engineer, co-producer) as being essential to the creation of the overall sound of the album as well as being an effective instrumentalist in selected tracks. All in all it sounds like this was a very close creative collaboration which was rewarding for all involved. When I first received the CD in the mail I was immediately struck by the lovely cover art and overall design which led me to comment to Mr. Helander of the nostalgia for the larger cover art one used to get with vinyl LPs. He commented that he had looked into this possibility but found it economically prohibitive. The photo and overall design was by the same artist, Paul Puiia, who had designed his previous release. There are 11 tracks on this CD all with poetic titles that tell you little about the music itself but no doubt have some meaning for the composer and perhaps his collaborators. That is not intended as a criticism, rather it is a reflection of music that is less concerned with form than expression. Not program music but little poetic statements. And given that Mr. Helander aspires to writing film music this sort of focus seems quite appropriate. This is an interesting and varied list. I didn’t include this list to give prospective listeners and idea of what the music sounds like but I think it does reveal something about the aspirations and inspirations of the composer’s intent. I had given some thought to trying to describe each of the tracks on the disc and give my analysis and impressions but finally decided to leave my readers with more general impressions. Each of the tracks is a self-contained musical statement though three of the tracks are identified as being parts of a suite. As I said, the poetic titles may have meaning for the composer and may invoke ideas in the listener as well but in the end I perceived the entire disc as a sort of unified whole in that the disc appears to be a musical statement which stands as a reflection of the composer’s ideas at the time of this release much as his first disc does. Further listenings suggested a sort of sophisticated melancholy lounge music born both of the composer’s aesthetic and those of his collaborators (the production and recording certainly add to this effect). There appears to be more of a classical influence with a jazz ambiance added. 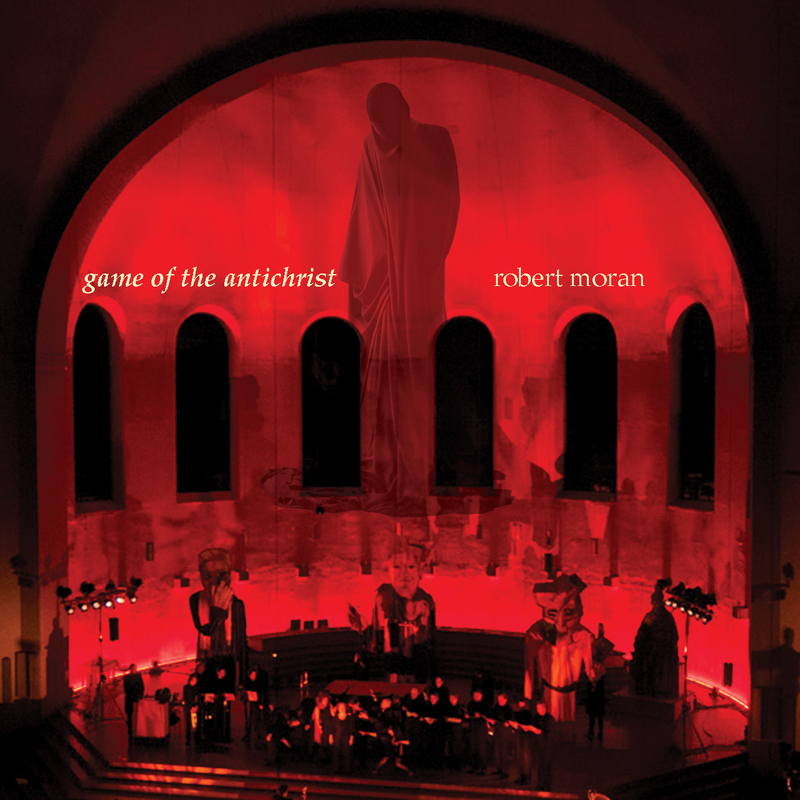 This is an interesting disc which manages to be both gently experimental as well as eminently listenable. It is a snapshot of this young man’s best efforts at composition and each can be listened to as a potential sound track to a yet to be made film sequence or simply as a pleasant musical statement on it’s own. With the perspective of the first disc in mind one can see a progression and integration of nascent ideas evolving as the composer works to develop a more integrated and clear statement of his ideas. He achieves exactly what he intended I think. That being said I will be interested to see what he does next as I enjoy the work he has done so far. If you are interested in new music this disc is worth a listen. If you are just looking for something different to add to your listening selections you would not be disappointed either.